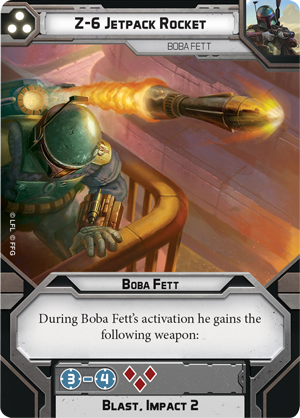 Order your own copy of the Boba Fett Operative Expansion at your local retailer or online through our website today! 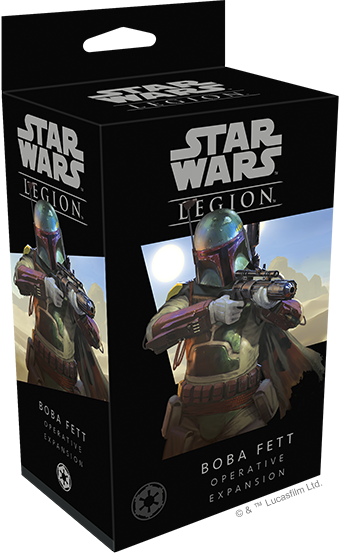 The Boba Fett Operative Expansion for Star Wars™: Legion is now available from your local retailer or online through our website. Add a mercenary element to your Imperial forces and track your foes to the farthest reaches of the galaxy today! 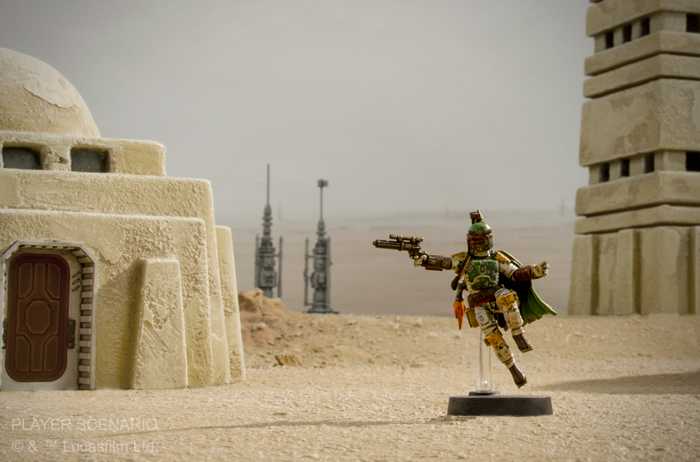 In addition to the gadgets and weapons unlocked by his command cards, Boba Fett always carries a diverse array of weaponry that help him dole out damage. Whether he chooses to launch a Wrist Rocket, fire his carbine, or attack up close with his Boot Spikes, you can be assured that he has the perfect weapon for any situation. 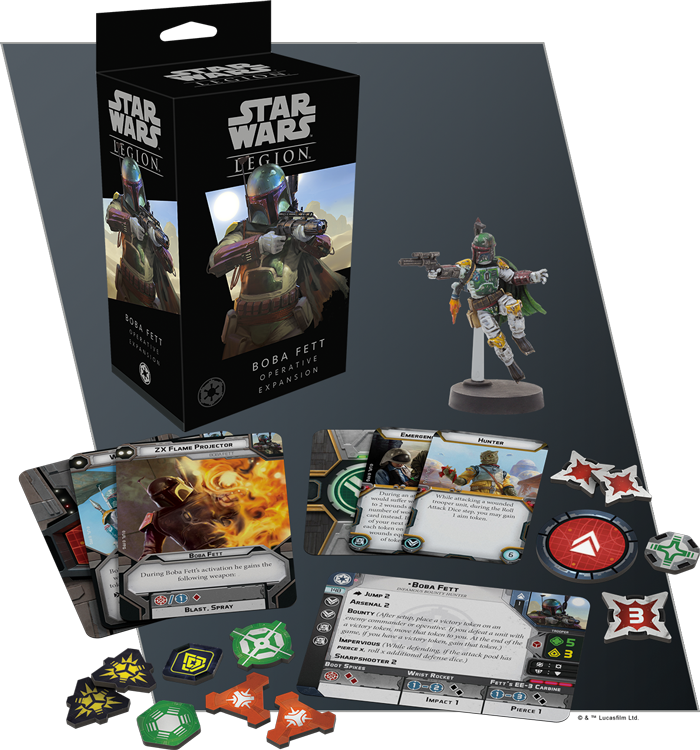 Even better, the dice and keywords from his weapons can be combined into a single pool with Boba Fett's Arsenal 2 keyword, giving you the chance to wipe out an entire unit in a single attack. Hire the galaxy’s most feared bounty hunter to join your Imperial forces on the battlefields of the Galactic Civil War with the Boba Fett Operative Expansion (SWL18) for Star Wars: Legion, now available from your local retailer or our website!